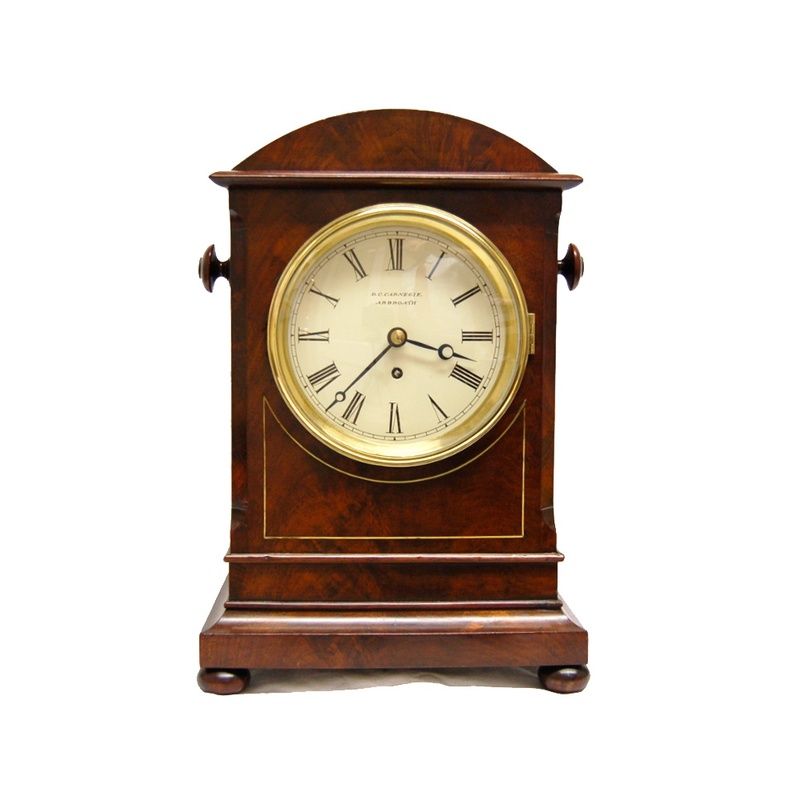 A mahogany bracket clock from the second quarter of the 19th century. Dial signed D.G. Carnegie, Arbroath. 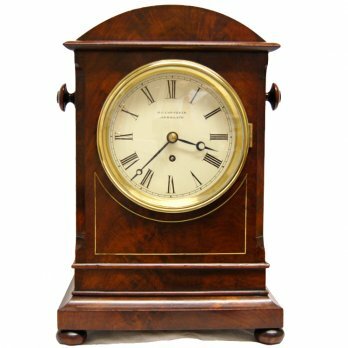 Round topped case, canted corners, brass strung front panel with moulded plinth and bun feet. Signed 6" dial with moon hands, cast bezel with silvered sight ring. Single fusee movement with shouldered plates and anchor escapement.